Cat-fluencer Chris Poole of Cole & Marmalade™ partners with manufacturer to launch ‘Little Cats Helping Big Cats’ Campaign. We’re all proud to create a high quality product that small cats love to eat while helping the big cats, said Poole. We want pet lovers everywhere to know that all cats deserve our care. H3 Essentials®, the family-owned, high-quality pet supplement company, launched its first line of freeze dried cat treats. Available in rabbit, minnows, ahi tuna and chicken, the treats are all-natural, grain and gluten-free, good for feline oral care and 100 percent made in the USA. 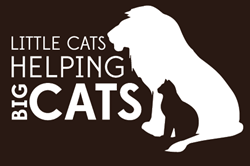 In conjunction with the product launch, H3 Essentials is partnering with Chris Poole of Cole & Marmalade™, IHeartCats.com and PureFormulas to kick off the 'Little Cats Helping Big Cats' campaign. Every purchase of the new line of cat treats will support and bring awareness to Big Cat Rescue, an accredited sanctuary for exotic cats in Tampa, Fla., that is home to more than 80 lions, tigers, bobcats, cougars and other cats that have been abandoned, neglected or abused. The idea for the ‘Little Cats Helping Big Cats’ campaign was inspired by the 12-year-old son of co-creator Steve Watters, during a recent family trip to Big Cat Rescue, when the son pointedly asked his dad what they could do to directly help the exotic cats at the sanctuary. A pet industry veteran, Watters already had the resources and network to create the new high quality cat treat line with an ultimate goal of helping the Florida-based nonprofit. Each bag of H3 Essentials cat treats retails at $7.99 and is available online only through H3 Essentials (http://www.H3essentials.com) and PureFormulas (http://www.PureFormulas.com). Follow Cole & Marmalade at http://www.coleandmarmalade.com, and on Facebook, Twitter, Instagram and YouTube. 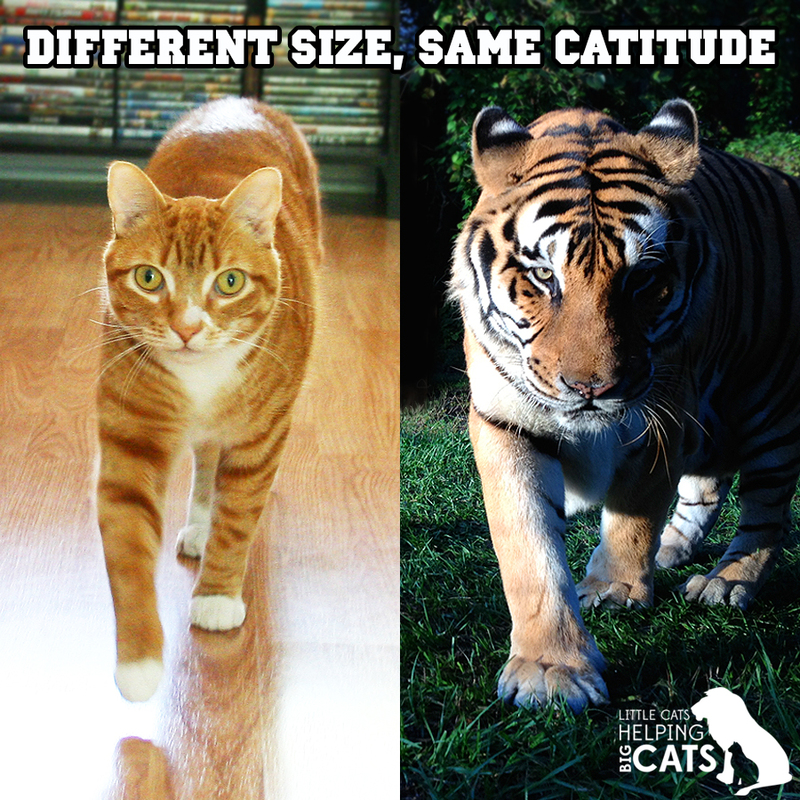 Visit http://www.LittleCatsHelpingBigCats.com to learn more about the campaign and share in the conversation on social media with hashtag #TreatTheirWildSide. H3 Essentials is a small family-owned business that specializes in developing and marketing high-quality pet supplements and products. They are committed to using pure, highly researched ingredients and balanced formulas in products that are safe, effective and healthy for pets. Every product is made in the USA in FDA, USDA and FSIS regulated manufacturing facilities. For more information, visit H3Essentials.com. Cole and Marmalade are the cat Internet superstars and together with their human servant Chris Poole they entertain more than one million social media followers every day with videos, photos and memes. Chris is currently based in Chicago, but hails from Nottingham, England. For seven years, he was media producer at Big Cat Rescue in Tampa, Fla., where he worked closely with tigers, lions and other exotic cats, helping to raise awareness about the problems they’re facing in the wild and in private hands. He aims to make Cole and Marmalade spokes-kitties for their larger cousins too! For more information, visit coleandmarmalade.com. Headquartered in Miami, FL, PureFormulas is a leader in the online health supplement space, distributing GMP-certified quality products that include dietary supplements, organic food, beauty products, sports nutrition supplements, and pet products. PureFormulas is committed to helping its customers live life pure, featuring a secure and friendly online shopping experience, with free shipping on more than 40,000 products. Our professionals work with nutritionists and healthcare advisors to keep up to date with customers’ needs and healthcare trends. For more information, please visit: pureformulas.com.